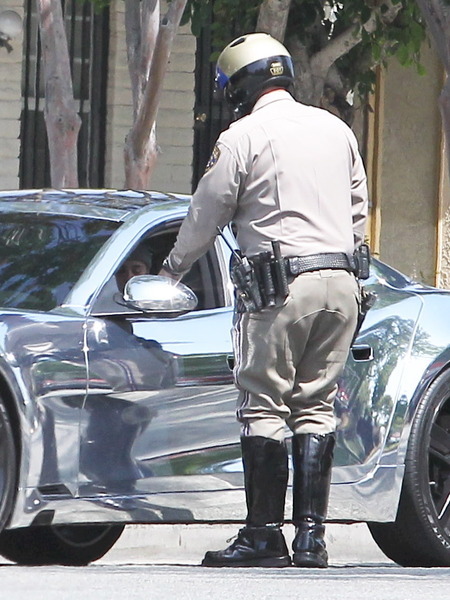 Singer Justin Bieber was pulled over by cops after he was seen weaving in and out of traffic on an L.A. freeway in his silver Fisker Karma sports car. Bieber was reportedly trying to lose paparazzi, who were on his tail. The “Boyfriend” singer’s manager, Scooter Braun, told TMZ that the pesky paps didn't give up after the ticketing and continued their pursuit. Bieber wound up calling 911. Police caught up with Bieber and the photogs and told the paps to back off.